Elections Canada is withholding information on about 3,000 of the more than 5,000 complaints it has received in the past 15 years, a government accountability watchdog group says. In the wake of this year’s robocalls scandal, Democracy Watch compiled data on 5,018 complaints Elections Canada has received since the 1997 election, and found the election agency hasn’t released information on 2,982 of them. “The main problem is no one can tell whether Elections Canada has been enforcing the law fairly and properly because it has failed to disclose details of how it has investigated and ruled” on the complaints, Democracy Watch stated in a press release Monday. “Federal MPs have to stop being so negligent and start demanding regular, detailed reports about what all the key federal good government watchdogs are doing, and not doing,” Tyler Sommers, the group’s coordinator, said in the statement. The question of electoral fairness was propelled to the forefront of Canada’s political debate earlier this year when allegations emerged that an individual known only as “Pierre Poutine” had arranged for robocalls in a riding in Guelph, Ontario, which attempted to send voters to nonexistent voting stations. Since then, many Canadians have come forward with complaints about irregularities in the 2011 election. Mayrand revealed the agency is looking into 800 complaints in 200 ridings regarding the 2011 election, and had opened 250 files. 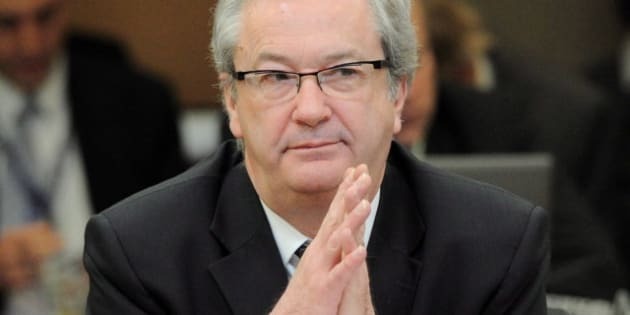 The group argued members of Parliament had repeated chances to demand that Elections Canada reveal all its investigations on electoral complaints, but did not act to do so. Mayrand is expected to testify before the House of Commons again before the end of the summer. In the meantime, robocalls complaints continue to pile up. The latest wave of complaints has been at the provincial level, with Elections Alberta saying late last month it had recevied 150 complaints, at that time, regarding robocalls in the current provincial election.